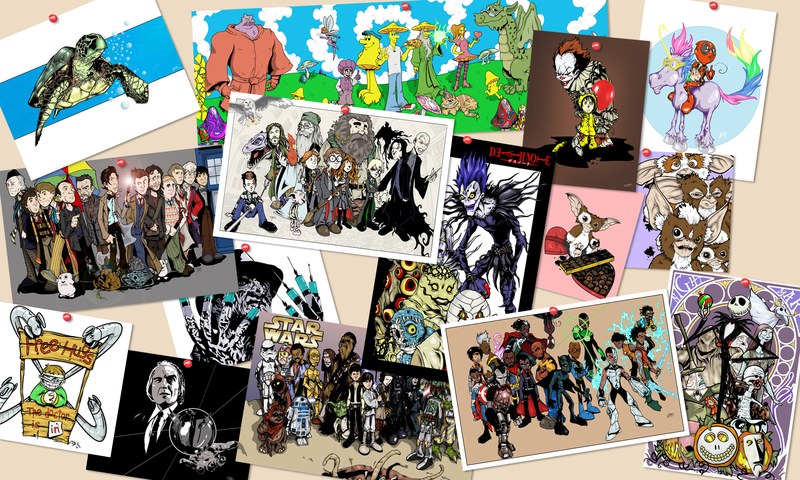 My friend Scott draws monsters in his awesome, unique style…and I like to “remix” them and draw them in my own style. Here’s a few samples! Just a pair of random horror movie icon drawings. I am thinking about doing a whole line in this style. What do you think?